UCLA has joined with Yale University, the University of Michigan and the University of Pennsylvania to launch the new National Clinician Scholars Program, which will educate nurses and physicians to serve as leaders, researchers, and change agents in health care, community health, and public policy. The innovative program fills the gap left after the Robert Wood Johnson Foundation ended its Clinical Scholars program for physicians. The new program will expand on the RWJF program by including nurse scientists as well as physicians, and will address new and emerging issues related to health care delivery and improving the health of communities. 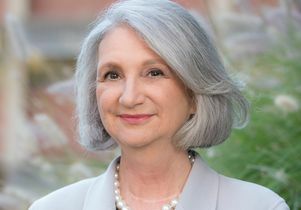 “This new national program that builds on the over 40-year legacy of the Robert Wood Johnson Foundation Clinical Scholars program will create leaders and change agents with the needed skills to transform health care delivery and ultimately the health of our nation,” said Dr. Carol Mangione, co-director of the RWJF Clinical Scholars Program and of the new program at UCLA. The National Clinician Scholars Program will partner with organizations sponsoring a number of individual scholar positions and inter-professional training between nurses and physicians. The new program will provide opportunities for nurses and physicians to serve as full partners in health care redesign, improvement and research. It will include fundamental elements from the RWJF program such as high-quality mentoring, a tailored curriculum, clinical work and annual meetings. Partners at each institution will work directly with each scholar to identify and develop projects to solve current real-world problems and to cultivate the scholar’s unique research and leadership skills. 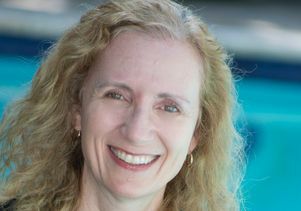 UCLA will work with a consortium of partner institutions called the UCLA Southern California Clinician Leaders Program. In addition to UCLA’s David Geffen School of Medicine and School of Nursing, the consortium includes the Los Angeles County Department of Health Services, Greater Los Angeles Veterans Health System, and Charles R. Drew University of Medicine and Science, among others. The consortium will identify regional health challenges and recruit scholars to address these challenges with the goal of eliminating health disparities in Los Angeles. It will implement programs to reduce wait times, save resources and improve patient outcomes. Research projects undertaken through the program will be embedded in the community so that scholars will be able to make a meaningful impact locally even as they receive their education. The community-embedded projects make up the core of the two-year training experience; scholars will also partake in an innovative curriculum to build a robust set of skills in organizational and social change, applied translation research methodology, community engagement, program development and evaluation, team management, communication and leadership. The RWJF Clinical Scholars Program made great strides in training leaders to serve as the workforce for change toward health improvement. The National Clinician Scholars Program honors that legacy by expanding on its important work. More information, including instructions for applicants, can be found at http://www.nationalcsp.org/.